"In a new “manifesto” titled “Monticello Affirms Thomas Jefferson Fathered Children with Sally Hemings” (June, 2018), The Thomas Jefferson Foundation has declared that the official position of the foundation is that Thomas Jefferson fathered all six of Sally Hemings’s children. It is a perplexing statement, especially given that it is made not on account of any new evidence that has a bearing on Jefferson’s avowed paternity, and prior to this manifesto, they were content to espouse some degree of skepticism of paternity based on the available evidence. The manifesto merely rehashes its amassed “evidence” while paying lip service to certain maverick dissenters—“some who disagree.” With the opening of Sally Hemings’s room on June 16, they have taken it upon themselves to “remove the qualifiers.” They write now of a firm commitment to the relationship. There is little room for doubt. As the Thomas Jefferson Foundation began planning The Life of Sally Hemings, an exhibit that relies on the account left by her son, Madison Hemings, it became apparent that it was time to reexamine how to characterize Jefferson’s paternity. For nearly twenty years, the most complete summary of evidence has remained the report authored by the Foundation in January 2000. While there are some who disagree, the Foundation’s scholarly advisors and the larger community of academic historians who specialize in early American history have concurred for many years that the evidence is sufficiently strong to state that Thomas Jefferson fathered at least six children with Sally Hemings. In the new exhibit exploring the life of Sally Hemings, her choices, and her connection to Thomas Jefferson, as well as in updates to our related online materials and print publications, the Foundation will henceforth assert what the evidence indicates and eliminate qualifying language related to the paternity of Eston Hemings as well as that related to Sally Hemings’s three other surviving children, whose descendants were not part of the 1998 DNA study. While it remains possible, though increasingly unlikely, that a more comprehensive documentary and genetic assemblage of evidence could emerge to support a different conclusion, no plausible alternative with the same array of evidence has surfaced in two decades. First, they state that the most complete summary is their own report of January, 2000, and that smacks of self-service. Since publication, that report has been challenged by a number of compelling books: Bob Turner’s The Jefferson-Hemings Controversy: Report of the Scholars Commission (2001), Cynthia Burton’s Jefferson Vindicated (2005), William Hyland’s In Defense of Thomas Jefferson (2009), and my own Framing a Legend: Exposing the Distorted History of ThomasJefferson and Sally Hemings (2013).While none of these books proffers the sockdolager which shows that there was no relationship, all offer compelling reason for doubt. The Thomas Jefferson Foundation has dealt with the arguments in those books by ignoring them. They can do that. They run the show at Monticello. For instance, as author of 10 books on Jefferson, some 70 published essays, not one of my books on Jefferson—and I have written critically on Jefferson’s views on religion, politics and political philosophy, history, morality, education, progressivism, and cosmology, inter alia—is for sale in the library at Monticello. Why? I wrote Framing a Legend, which attacks the often-shoddy scholarship on behalf of the liaison and argues, ultimately, for skepticism. Skepticism, it seems, is sufficient for censorship. They run Monticello and they can give visitors their own account of Thomas Jefferson by disallowing diversity of opinion. Second, “there are some who disagree” is massively understated. Many disagree. The issue is that if you disagree with their official position on the liaison, if you disagree with what is now their manifesto, you run the risk of being dubbed “racist,” which is the kiss of death in liberal academic circles. I am a liberal, but I am interested in truth, not politics. Consensus among scholars today is, thus, forced, because of fear of being called racist. Truth has become irrelevant. Jefferson may have had a relationship with Hemings. That is important to know. Yet we wish to know that as a result of open debate on both sides of the issue and with a look at all the available, relevant evidence. If such debate shows anti-paternity is unlikely, then the anti-paternity adherents will have gained by, as Socrates has said, “an exchange of error for truth.” Yet TJF disallows open debate because they control the intellectual climate at Monticello. With open debate, they run the risk of being shown to be pedantic, dogmatic, and perhaps wrong. Thus, if Jefferson did have an affair with Hemings, we ought to demand evidence of it. A scholarly pro-paternity wave of hands among members of TJF, many of whom are unqualified to have a vote, ought not to convince anyone. Third, Sally Hemings is an odd choice for an exhibit, given that Jefferson says next to nothing of her in his memoranda books and that no scholars know anything substantive of her life. Annette Gordon-Reed has made a reputation of being an expert of Hemings’s life through four chapters of the probable course of events in her stay in France in her much ballyhooed book, The Hemingses of Monticello, but those chapters are built on surmise, not evidence. The probability of her account being accurate in all of its details is nil. Finally, in their manifesto, they relist 10 reasons (click the link in the first sentence of this essay) to believe that Jefferson fathered all of Hemings’s children. None of the reasons are new. Most have been challenged; some have been refuted. The TJF is blind to those challenges and refutations. Their policy again is to ignore evidence to the contrary. Why? They have invested much too much over the years in the Hemings’ controversy, and now they cannot recant. Yet with the manifesto, they have added something new: They are resorting to dogma, not debate. With the exhibit of “The Life of Sally Hemings,” TJF will have muddied its face. Monticello’s Gary Sandling’s insisted when they were going about “reconstruction” of Hemings’s room that “we’re not going to use this room to tell a story about DNA and the paternity of her children.” Yet now we find that that is just what they are doing. That is just what they had in mind all along. Vivienne Kelly and I in “Monticello Claims toHave Found Sally Hemings’s Room: Is This True?” have argued that the recent “discovery” of Sally Hemings’s room might be politically, not veridically, motivated—that is, we at least challenged that notion that making a room for Sally Hemings was being done for the sake of hammering home the notion that Jefferson was the father of Hemings’ six children. In our essay, we noted that one of the results of the room over time would be to offer visual proof of the nearly 40-year liaison. Having physical space at Monticello over time would be taken as proof in the minds of visitors of a liaison. What is bothersome about the TJF’s new report is the political posturing of those in TJF. Sandling insisted that the room’s discovery was not political. It was. The issue of Jefferson’s paternity has been decided ex cathedra, without full discussion of all relevant evidence, and by a select view of “authorities” on Jefferson who never had doubts about Jefferson’s paternity in the first place. No one who dissented was part of the decision-making. That is how it has been at Monticello for a long time. That needs to change, because members of TJF are creating Jefferson’s history, not reconstructing it. It is an insufferable situation. The TJF is content with its removal of qualifiers because they are content that the testimony of Sally Hemings’s son Madison Hemings is trustworthy and correct. As I have shown (see HNN, Hemings’s testimony), it is not. Its reliability is suspect from a number of points. We cannot merely assume its veridicality. The greatest danger with what the TJF is doing is its complete insouciance concerning claims contrary to those they embrace, even if those contrary claims are well supported. There is no other way to put it, because there is insufficient evidence to decide the issue of Jefferson’s paternity, and yet they have removed the qualifiers. In such a case, we must be skeptical, not dogmatic. TJF disallows skepticism. They have decided for us how we ought to think about Jefferson. As John Stuart Mill showed in On Liberty, the closest thing to a liberal’s bible, freedom of opinion and critical discussion of matters unsettled by reason, are needed for truth. Thomas Jefferson in Query XVII of his Notes on the State of Virginia said the same thing. 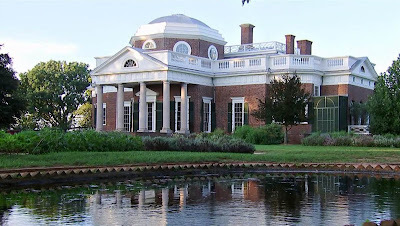 It is a paradox of Brobdingnagian proportion that the people who now run Jefferson’s Monticello have such an aversion to Jefferson’s priceless liberal values and such indifference to truth."